Bubby and Bean ::: Living Creatively: Urbanknit Giveaway WINNER! Congratulations Elise! Please contact me at bubbyandbean (at) gmail.com so we can get you your prize. 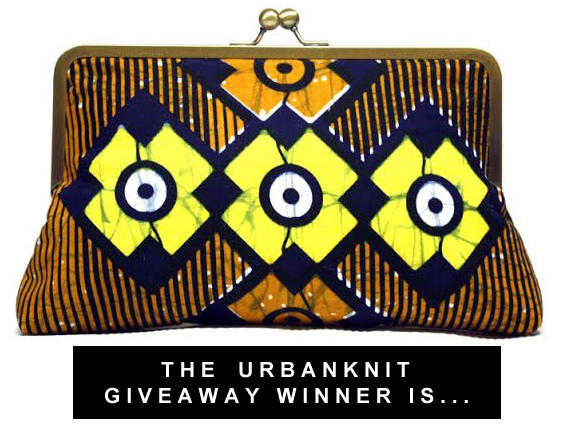 Thanks again to Dolapo at Urbanknit for offering Bubby and Bean readers the chance to win one of her gorgeous bags!